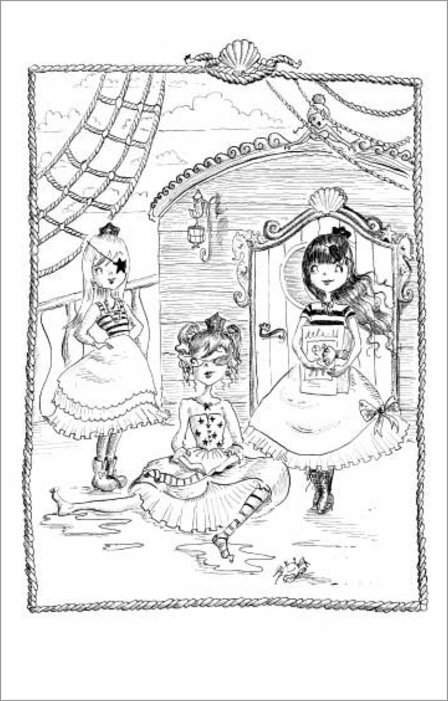 Welcome to the world of the Petticoat Pirates – whipping up a storm in ribbon and lace! 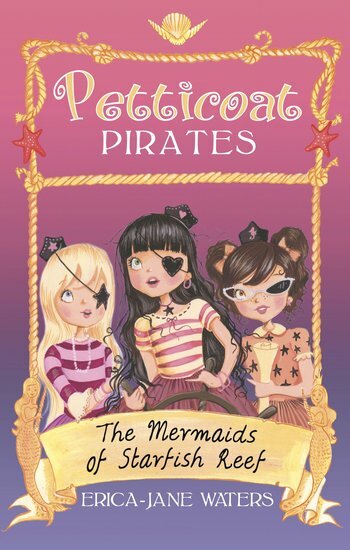 With heart-shaped eye-patches, magical powers and mermaids for friends, these girls are pirates with a difference. 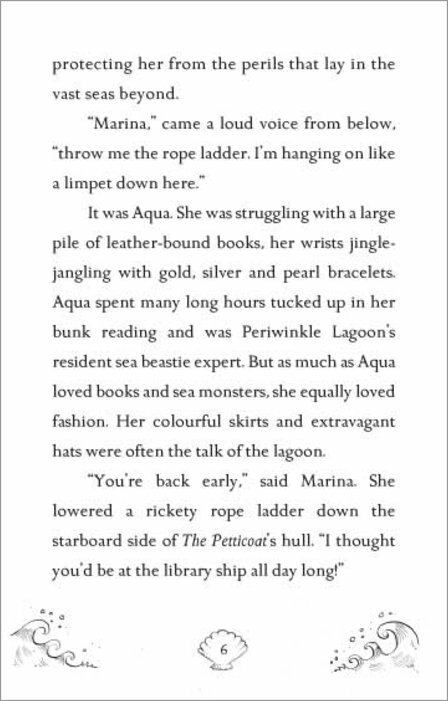 Living aboard their ship in the Periwinkle Lagoon, Marina, Aqua and Oceana are surrounded by the sparkling seas, which hold all sorts of adventures. 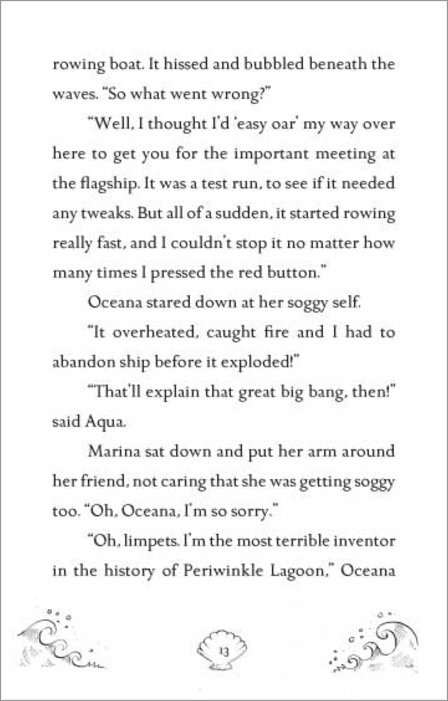 One day, three beautiful mermaids come to the lagoon to ask for help. 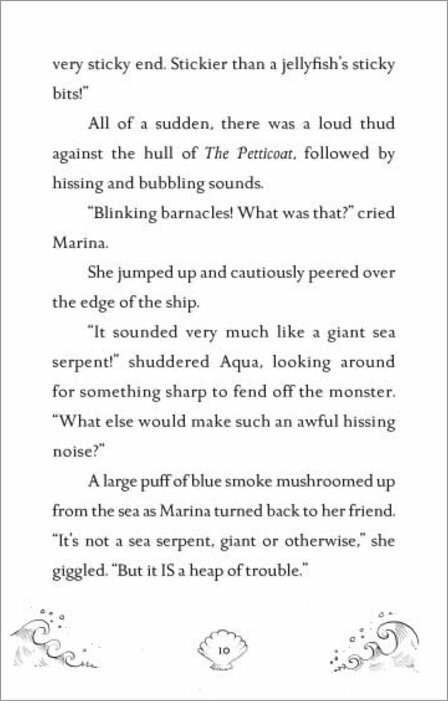 A creature of the deep has let out all the sea snails on their underwater mer-farm, leaving behind nothing but a shiny scale. 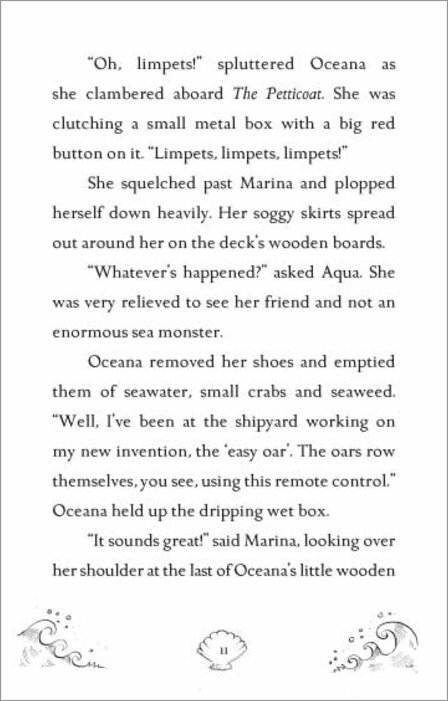 Can the feisty pirate lasses work out what happened and bring the sea snails safely home? 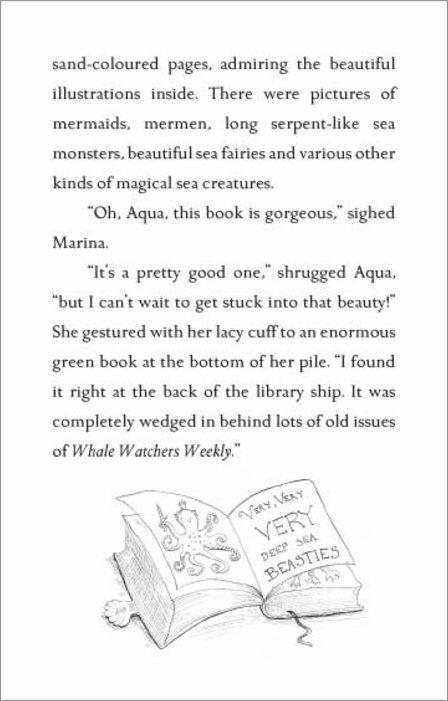 Give Petticoat Pirate Aqua an amazing new look! 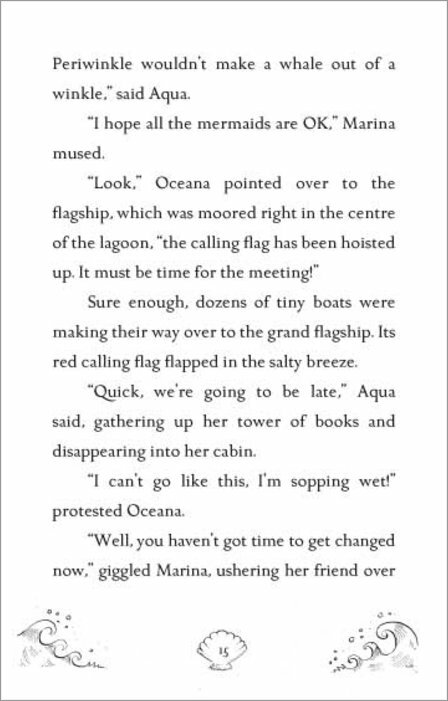 Can you help Marina, Aqua and Oceana out of a muddle? 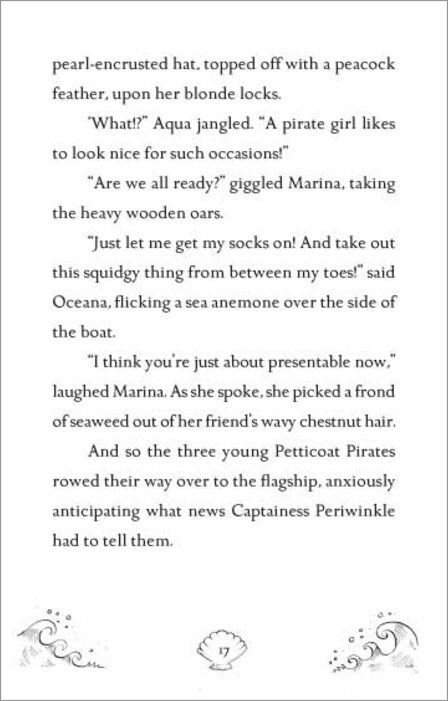 Can you find the Petticoat Pirates words? 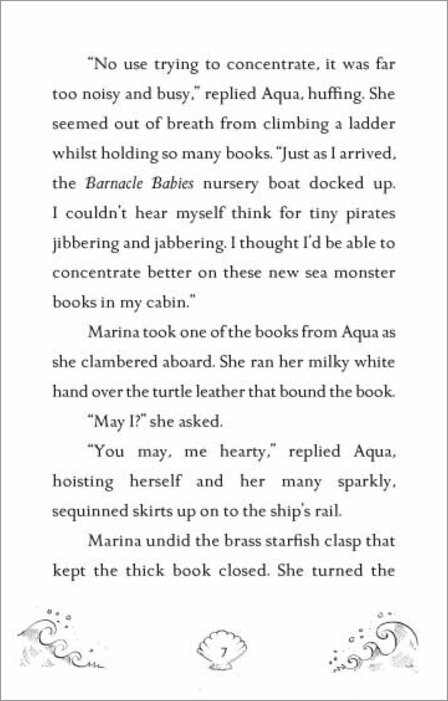 This book is about three pirates, the Petticoat Pirates called Aqua, Marina and Oceana. 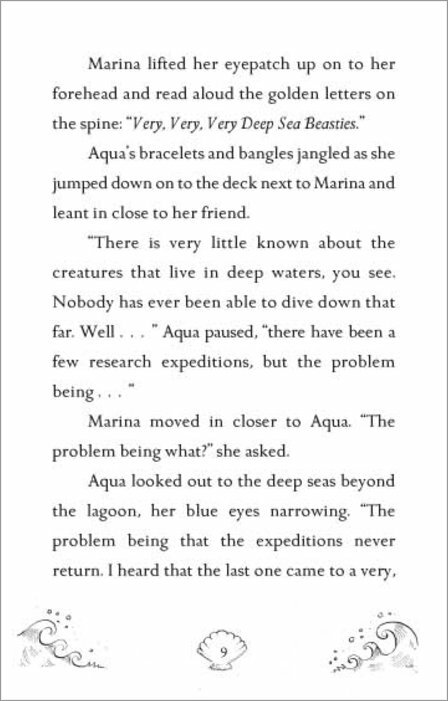 It is a story about how the Pirates use all their skills to help three mermaids solve a mystery about how the gardens were destroyed. 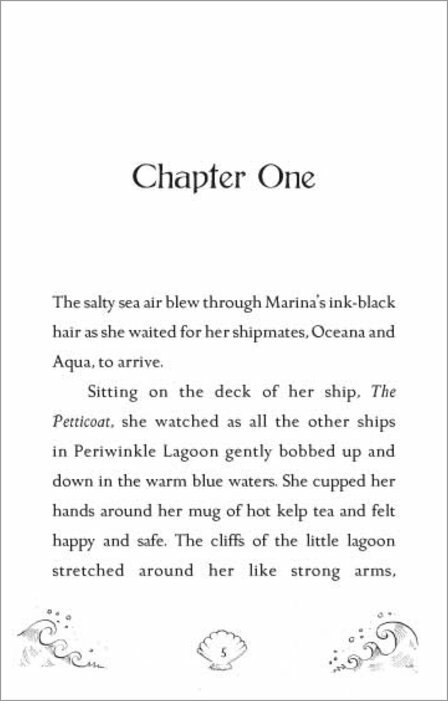 They live on a pirate ship sailing the ocean and having fun and I enjoyed reading about their adventure, it was really exciting and if I could go on an adventure with them I would. I felt a bit sad to find out The Nori was a lonely mermaid living in a castle on her own. 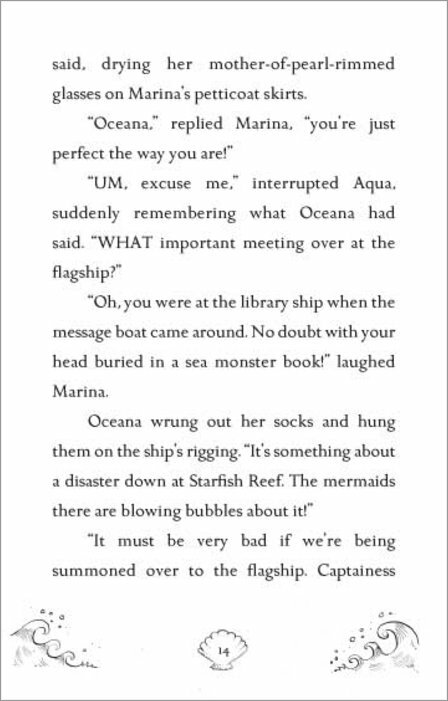 It made me happy when she made friends with the other mermaids. It was very funny when Oceana had a wet foot and I loved her dress and all the pirates were very pretty. I found the book easy to read and absolutely loved it. I would love to read some more stories of their adventures. 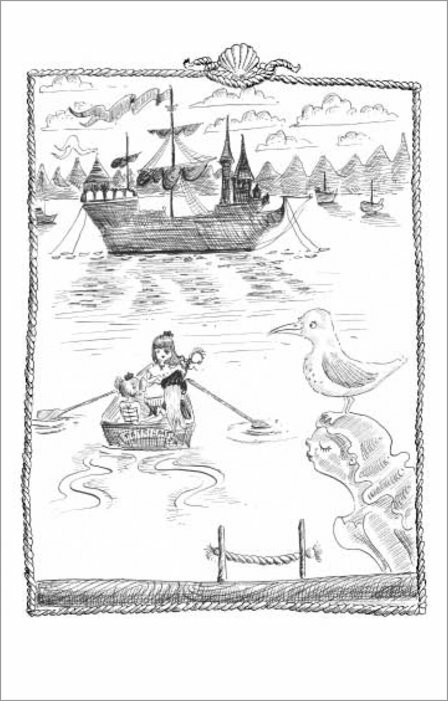 I think this book is suitable for girls who like an adventure aged 7 and above.